The best part of any pancake is deciding how to top it. I had berries on hand, so I threw those in a small saucepan with a splash of water and let that cook away on medium heat. 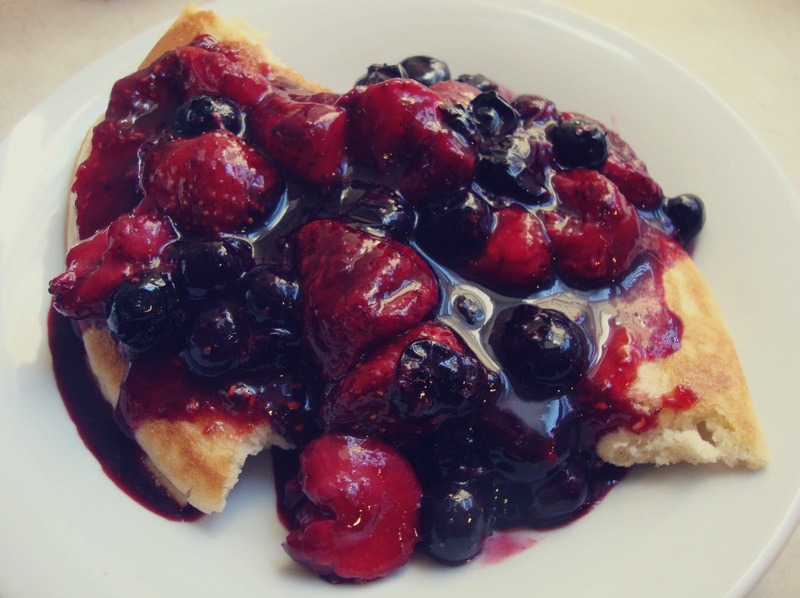 Some of the water evaporates and the blueberries break down, thickening its juices into a luscious sauce. Dash of cinnamon, splash of vanilla. No sugar! I would’ve used lemon zest if I had any on hand; sometimes I like throwing in dried cranberries because I love the way they plump up and subtly sweeten the compote. 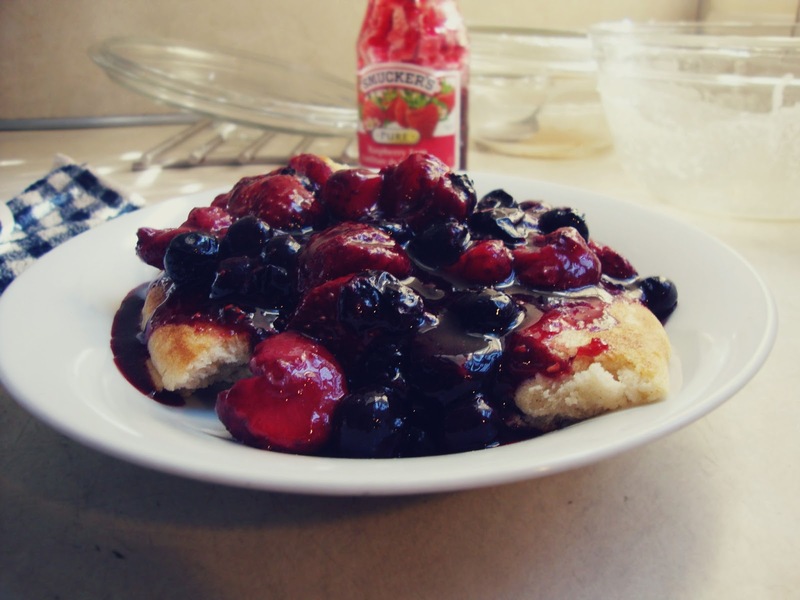 I spread a thin layer of raspberry jam on the pancake before pouring the compote over. It was the perfect pancake-to-topping ratio for me. Other ideas– peanut butter, greek yogurt, sunflower seeds, maple sugar, honey… whatever floats your breakfast boat! I recently went to Costco with my dad actually, and went a bit crazy with the dried fruit. So in addition to dried cranberries, I have blueberries, cherries, apricots, figs, dates, mangoes… can’t wait to use those.